HEALING is an interesting subject. Anyone who is pained, sick, stuck, challenged, grieving or any other human condition of suffering is usually in a place of wanting to BE HEALED. Most think, “if I could only GET RID of this, I will be fine”. Firstly, we NEVER get rid of anything. Don’t worry, it is when we change the FREQUENCY of it, that we see the shift and the condition seems to go away. What has shifted, what has changed? It is our perception of the issue / ailment that has shifted and when this happens the body follows by returning to it’s natural state of health and balance. So how long did it take you to find yourself within your current constraints? A week, a day, a year or possibly a lifetime? When I work with people who would like to FEEL differently, it is important to recognize their individual mental constraints around their situation. To get to a place of personal power around our current circumstances we need TRUST. Trust in the process, in this case Vibro-Acoustics and Reiki and certainly a level of trust in me, your facilitator. We talk and get to know each other. We discuss what is pertinent to you in relation to your issue. With this awareness comes an awakening and a reinstating of your personal power. YOUR power is what is important here. ALL healing is SELF Healing! Yes, it is lovely to have someone knowledgeable to hold the door OPEN for you, but it is you that will walk through that door. What has the Power of THREE got to do with it? Three tends to be a magical number, in the sense that it adds a third leg, or stabilizing factor to the 2. Think of a triangle as opposed to 2 dots connected by a line. Ultimately 3 sessions are necessary to move forward to a new place of stability in relation to your situation. The first session is about REALIGNING with your Personal POWER and Divine Spark. The second session is about INTEGRATION of the new energy of harmony within. The third session is the STABILIZING factor, the coming together of all that you have learned and experienced both from our discussions and from your time within the womb of sound, the healing temple, the DreamWeaver. Believe me, I would love to tell you that “in one session, you will be healed”, the fact is, it is determined by you and your belief system. If you truly believe that is all it takes, then that will be your reality. However, your trust, your commitment and your final outcome generally are based in repetition of a new way of being. Your self discovery process is uniquely your own. THREE seems to be the magic number here. A series of 3 sessions booked closely together, approximately 10 days apart, has a resounding effect within the body. The body begins to remember what it is to be calm, feel safe. You begin to know your true nature and TRUST your inner knowing. From here it is all down hill in a very good way. After 3 sessions you will discover that you have a rapport with not only me but more importantly with the Sound Healing environment. When you enter now, your body has a memory of previous mind expanding, body relaxing, Spirit releasing experience and you FLY home easily and quickly. The result is a deep sense of peace and a knowing that all is well in your world and you do not need to fix anything for your life to be a gift. Repeat after me, OUT LOUD, I AM Healed, I AM Healed, I AM HEALED ! Say ‘I AM HEALED’ outloud 3 x’s everyday, the body cannot resist our proclamation and complies. The image is YOU within your beautiful energy field, grounded, balanced, focused, deliberately connecting to your guidance, your Angel of Light and Guidance within. This is a very volatile time for many folks, you may be experiencing a new, fresh start or be revisiting what was happening between 1993 and 1995. Think about it, are you feeling released from the past and free to move forward or are you reliving an old theme? 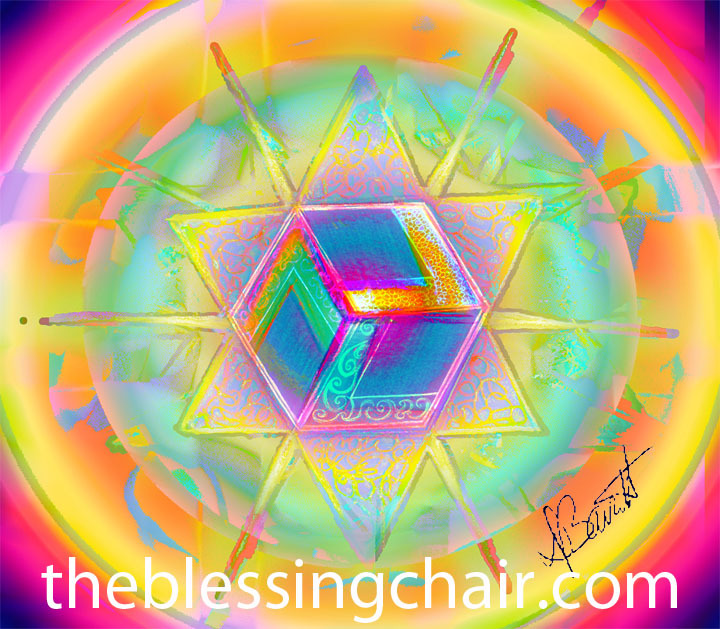 Either way you can jump-start your progress with a couple of hours of aligning with your true intention and decompressing the physical on the blessing chair. Come home to yourself. The Angels of Light and Guidance and I are ready to help. Surrender to your own inner knowing. You really do have all the answers. Take the time to find them. The image is YOU within your beautiful energy field, grounded, balanced, focused, deliberately connecting to your guidance, your Angel of Light and Guidance within. I call it Meditation Sphere. I am wondering if anyone else is having this experience. I have only had it happen 3 times but it is so interesting that I thought I would write about it. Twice, on different occasions, while doing energy work on a client within the DreamWeaver I have experience a slipping sensation. As I put my hands on the client I felt as though I was slipping or sliding forward by about 4 inches. Then yesterday as I was walking it happened again. As I was about to put my foot on the ground, I experienced my whole body moving, sliding forward. In the concrete world my foot came down on to the Earth as it should, nothing out of the ordinary, but within my form I felt the slip of consciousness that is quite new to me. I know there is a lot going on energetically now and I also know that some of us are more aware than others. So, if you have experienced anything like this, I would love to hear about it. 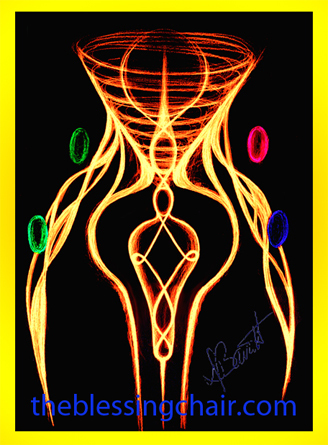 ps the image above is called the ‘Antakarana Within’, it works as an activation symbol. I have been playing with the idea of a Sphere representing the Creator. As the Spheres multiply the beautiful Seed of Life is created. Within every sphere of reality, there exists the opportunity for all of the spheres to align in harmony. The Vitality Activator is an orange sphere with a rose glow. Orange as in prana or life force, rose as in love and kindness. Within this bubble of life a violet purifying sphere holds within it the Seed of Life, a series of spheres overlapping to create the flower. This is you, the unique flower, with all of your varying petals. This natural, sacred alignment holds the harmonic tension of the colors by pairing the purifying violet with the vital life force of the orange and red. Feel the activity that these colors stimulate in you. Opposite ends of our chakra antenna activated simultaneously. If you would like to use this image an open eye meditation simply say: I AM filled with Vitality ! Vitality Activator T - Rev up your wardrobe with this powerful symbol of Vitality. 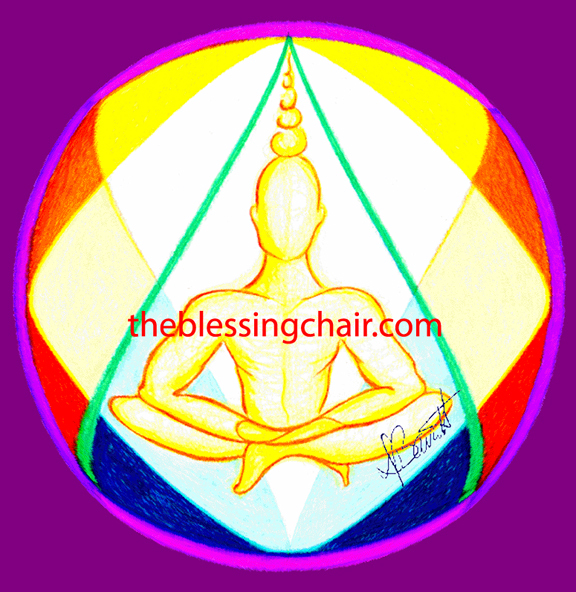 Create Balance in your energy field by using this Sacred Field Balance Activator. We find BALANCE when we SETTLE, as in settle down or settle into a rhythm. We create an environment where the dross and debris settles out of our waters. Our being becomes clear and still as in a high mountain reservoir. STILL & CLEAR. Stare at the Balance Activator with this intention in mind. Only takes a moment to receive the harmonics of this image into your own energy field. Be deliberate, state your new truth to yourself using a strong, focused tone. I AM in Balance. I AM Balanced, I AM Balance ! I AM rejuvenated and in harmonious alignment with my Divine Source. In this moment I AM replenished and made whole. I effortlessly embody health and wholeness of my body, mind and spirit. I AM grateful for the instant restoration of all key elements in my life. I accept complete recovery and total wellness. By the grace of God go I. I AM Restored! As we move through the ‘Great letting GO’ we become more simplified, more present, more ourselves. Remember to repeat your I AM statement 3 times out loud, everyday for full embodiment and best results.